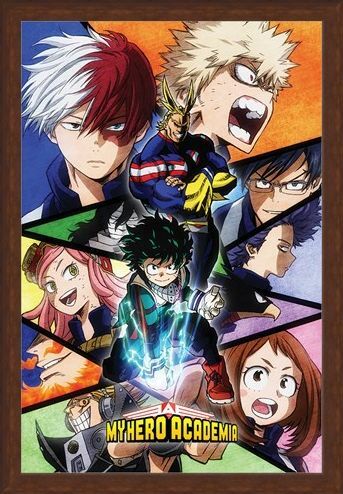 Venture to an anime world where superhuman students possessing a whole load of different powers and abilities with this epic poster from the TV series; My Hero Academia. 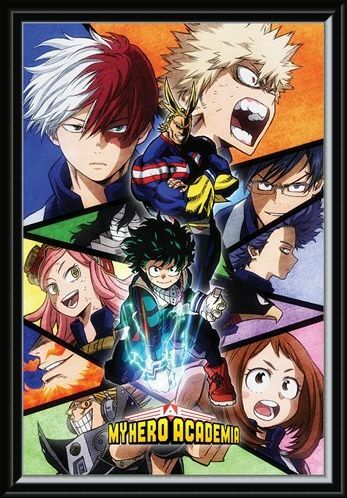 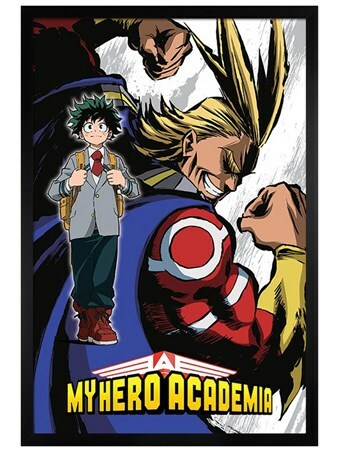 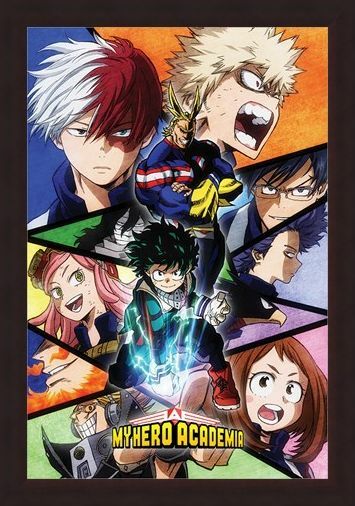 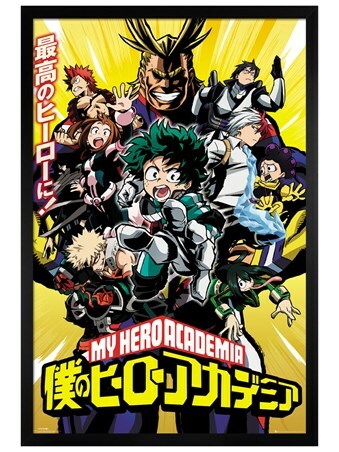 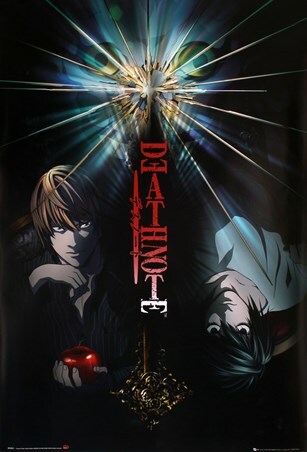 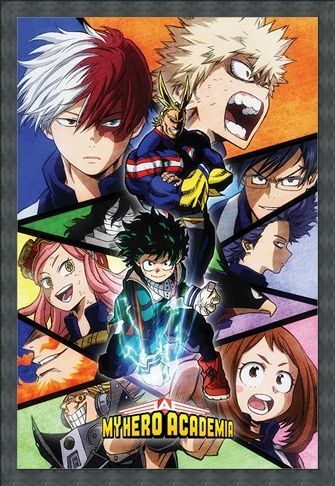 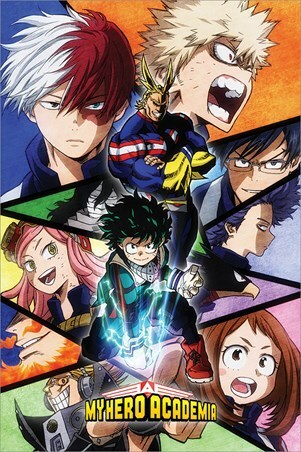 Featuring characters All Might, Ochaco Uraraka, Shoto Todoroki, Izuku Midoriya, plus many more, this spectacular scene sees the students of the UA High School mashed together in a frenzy of colourful segments and is the perfect poster to hang on your wall if you are a huge fan of this action packed saga. 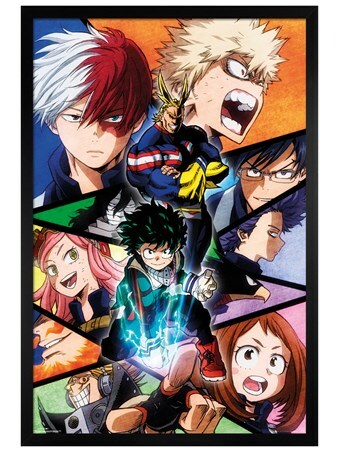 High quality, framed Characters Mosaic, My Hero Academia poster with a bespoke frame by our custom framing service.